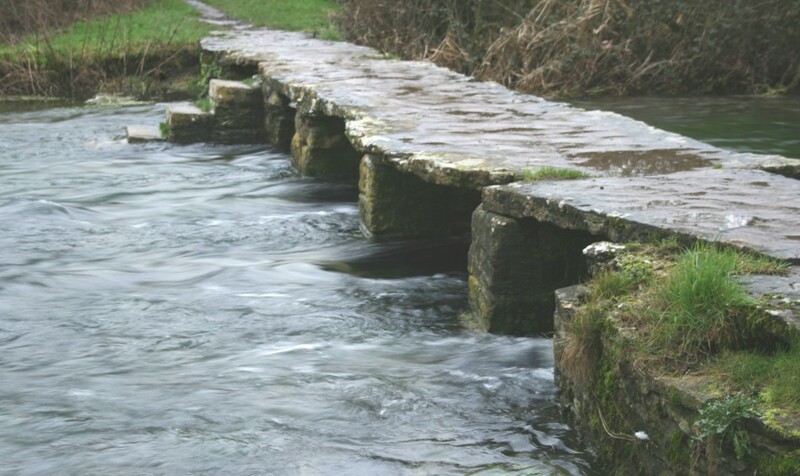 The River Leach in Eastleach can turn from a gentle stream , to a bit of a torrent in the winter. A four mile circular walk through the Leach Valley that incorporates Southrop, Eastleach Martin and Eastleach Turville. 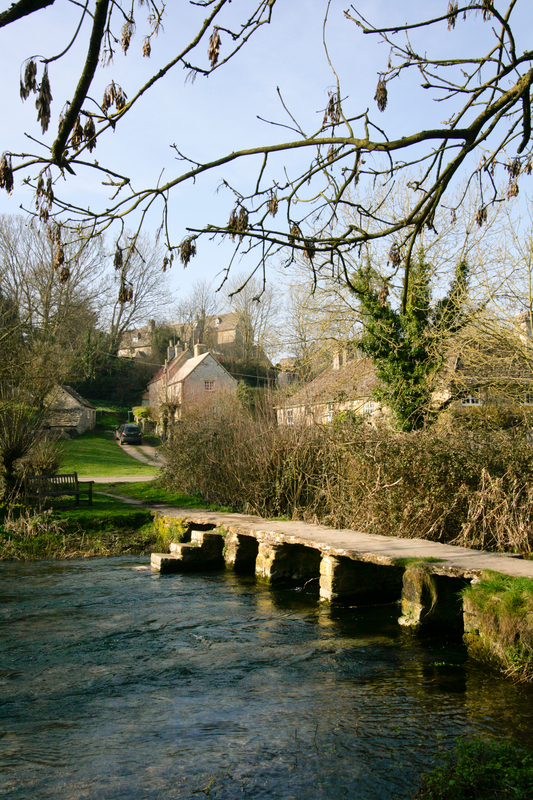 When the River Leach meanders through the charming little Cotswold villages of Southrop, and the paired villages Eastleach Martin and Eastleach Turville, it is but a shallow stream. Nevertheless it is as picturesque as the full bodied river it develops into when it reaches the north bank of the Thames near Lechlade. 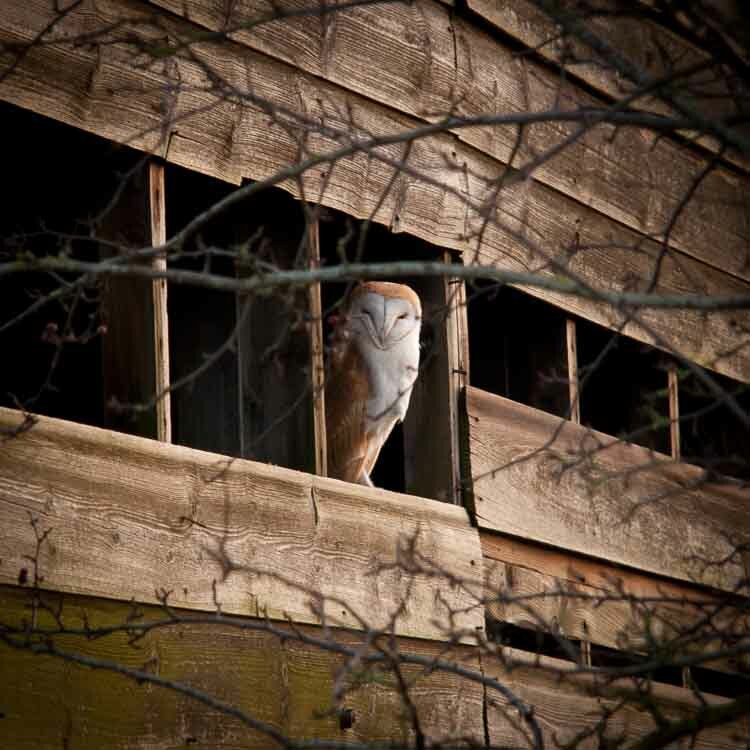 If you begin your walk in Southrop, having parked in one of the side streets close to The Swan Inn in the centre of the village, you can begin this walk at one watering hole and aim for another at the half way point. With your back to the pub, turn left then walk a short distance past the village school where you will discover a narrow passageway between two houses that’s marked with a way sign. This passage way leads first to a rather high slab-stone stile and then a grassy path alongside several gardens that opens out into a meadow where a small herd of cows are often grazing. Having entered the meadow via a stile at the end of the path, turn right and follow the boundary veering slightly left half way across. 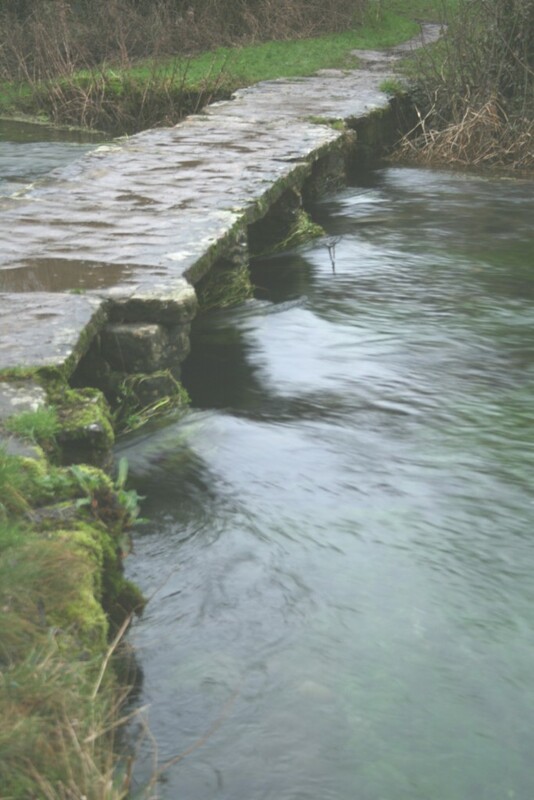 You are aiming for a large gap in the foliage where you will meet up with the River Leach flowing under an attractive old stone bridge. On crossing the bridge in the spring you will discover clusters of daffodils, and an abundance of Kingcups later in the year, both of which add a vibrant splash of yellow to the track alongside the river. At this point the river is shallow, its water crisp and sparkling and the scenery idyllic. The track eventually leaves the river and veers to the right where it meets up with a country road. 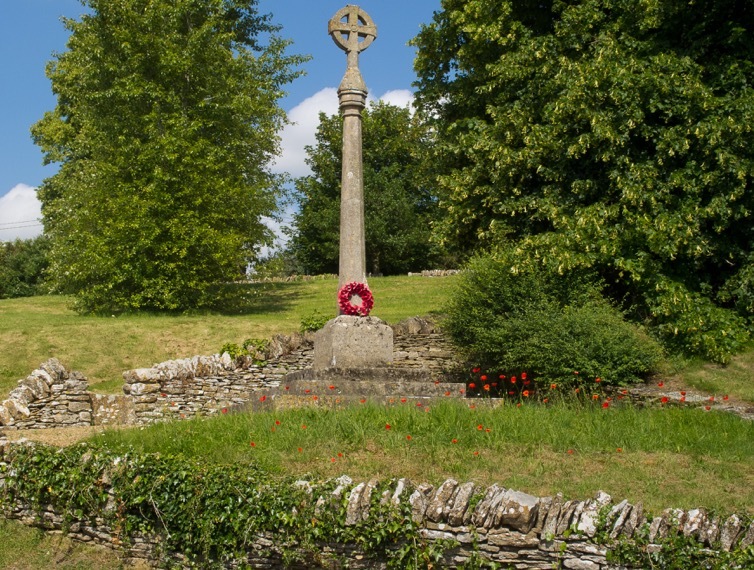 Turn left into the road and make your way to the Eastleach villages which are about a quarter of a mile away. Should you wish for a pit-stop you will find the Victoria Inn standing on high ground at the west end of the village of Eastleach Martin. The food here is home-cooked and the assortment of Arkell’s beers on tap will gladden the heart of anyone who enjoys a real ale. 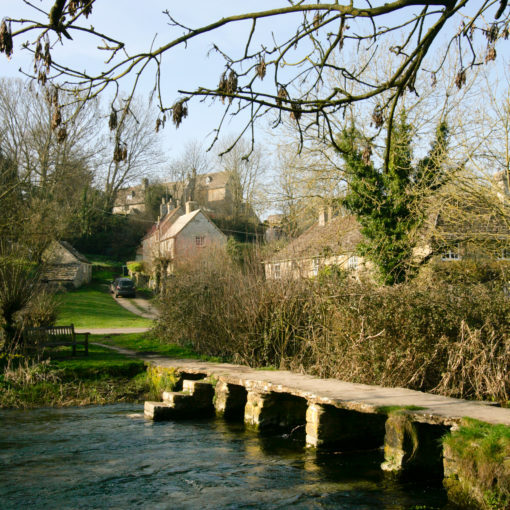 On leaving the Victoria, take the lower road opposite the pub and walk downhill until you come to a way marker directing you to an ancient stone clapper bridge crossing the Leach and St Michael and St Martin’s Church which is certainly worth a short detour. 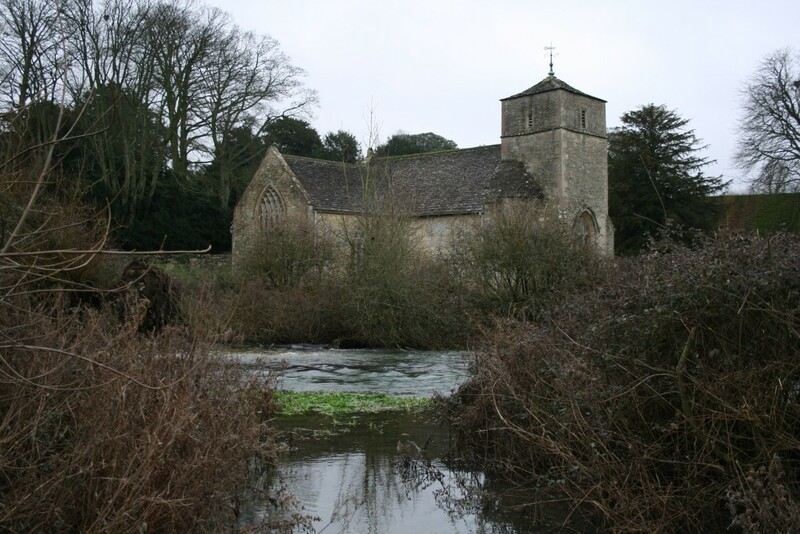 Although this church is no longer used for regular services it is in the safe hands of the Churches Preservation Trust. 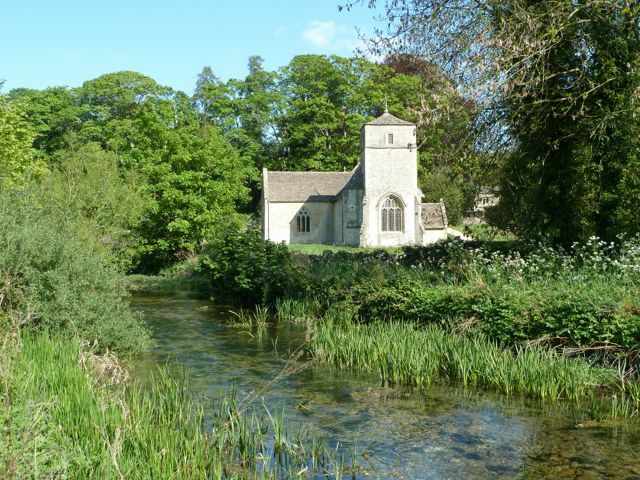 You will spot the church of St Andrews on the opposite side of the river in Eastleach Martin, just 200 yards away. Both churches are worthy of a visit. On leaving the church walk back a little way up the hill and look out for Verderes Cottage. Turn right at this point, then a further 30 yards on (just before Bourne Cottage) turn right again and then left almost immediately. At this point you will see a way marker that takes you to a large field and sets you on the footpath back to Southrop. As you cross this field you will discover a line of trees and may notice some very handsome horses grazing here. Keep the trees on your left. You will soon come to a metal gate that opens to another field and a well-worn track. When the track divides take the right hand turn past a farm house and to a small wooden footbridge on the left that leads you behind the farmhouse. Walk on for a few yards after passing the back of the farmhouse and you will spot a little path through the foliage on the left that will take you into a large field. You will now know exactly where to walk, as once again the track which follows the field boundary is well worn and much used. Keep following this path through another field and you will find yourself entering the top end of the field you first entered. By following the track which bears right in this final field you will come to a gate that leads to a green lane, which in turn comes to a small country road. By turning left when you reach the road and walking about 300 yards you will come to the Swan Pub where you started your walk.